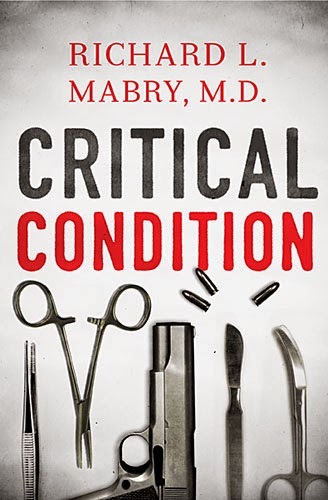 This is the first of Richard Mabry's medical mysteries that I've read and I really enjoyed it. There's the expected medical theme, but also relationship drama, suspense, romance, and police procedural. I suspected it would be strong from a medical point of view, but was pleasantly surprised at how good it was from a police procedural standpoint. Mark and Shannon make compelling lead characters and I was drawn to them from the beginning, although I didn't feel a chemistry between them and it was hard for me to get emotionally connected to the romantic element. This isn't really a criticism, though, because I thought the other elements were so strong that they took primary importance. It's fine with me for romance to be secondary. "Todd's life had ended and hers had forever changed, all in the space of a second, all because of a single gunshot." This tragic event changed not only Shannon's life, but her career and relationship with God as well. Shannon is a complex character who has an aversion to commitment, fears she can't live up to Mark's expectations, and has trouble accepting her human limitations. There's apparently something in the medical profession known as the "Jehovah complex," and Mark tells Shannon, "You're a doctor. But you're not God." With all their training, knowledge, technical advances, and the fact that patients' lives are literally in their hands, I have to wonder how prevalent this attitude is among doctors vs. those who do their best, realizing the rest is up to God. I really liked Mark, a pathologist who embraces a strong faith in his daily walk. "When many medical students, including Shannon, were letting their busy lives separate them from God, Mark had found Him and embraced a daily walk with the Lord. So now they were two sides of a coin - Mark quietly living out his faith, and Shannon struggling to regain hers." The introduction of Shannon's sister, Megan, adds an interesting element to the story. Shannon and Megan, daughters of a highly respected and beloved pastor, are a contrast in their role as "preacher's kids." While many PKs that I know have grown up to reflect the faith of their parents, this is not always the case. But more than that, I sensed a little "Prodigal Son" allusion here, which added much richness to the story. Characters struggle with real-life situations, consequences of actions, and doubts when it comes to matters of faith. And while we do see spiritual growth in both Shannon and Megan, it's their parents that I found most inspiring. 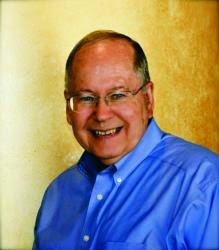 Shannon reflects on one of her father's sermons, "The message she took away was that it wasn't a matter of God removing the burdens so much as giving the strength to bear them." I think that's the kind of faith-under-fire trust that all of us long for. Critical Condition is a great suspense story, but the characterization and drama elevated it so much more for me. Recommended for all readers. Meet Richard online at www.rmabry.com, Facebook, and Twitter. Also learn more at the Litfuse blog tour post.